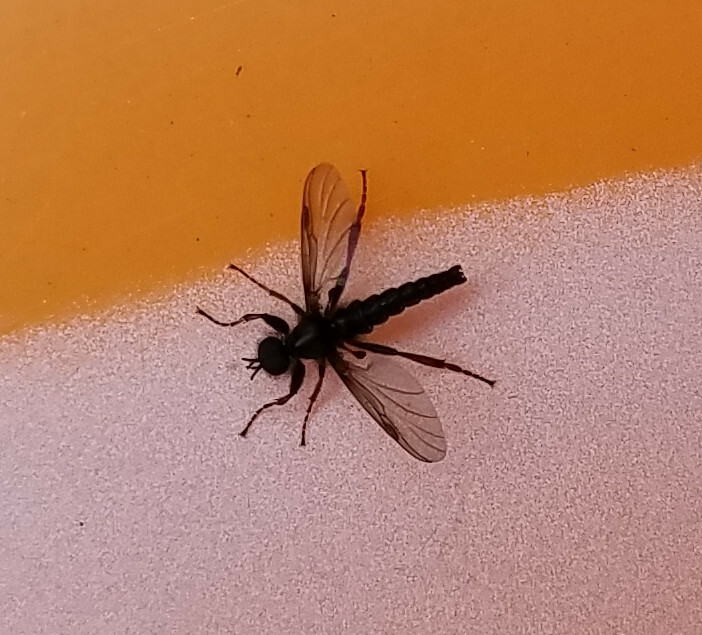 Does anyone know what this insect is? I put a rubber ball on my lawn, and within seconds a bunch of these insects (maybe 15 or 20) landed on it. I took a look around and saw that there were lots of them flying low near the grass or sitting on the grass (they were not as obvious on the lawn as on an orange ball :). Location: Massachusetts (USA). 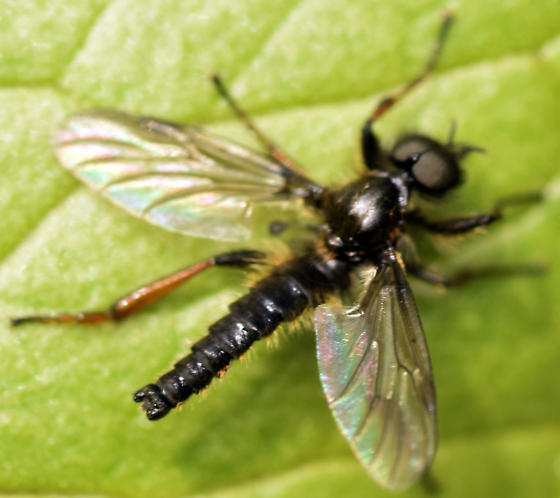 Looks like a Bibio, sometimes referred to as "March flies" and one species in particular known as "St Mark's Fly". Yours seems unlikely to be that one because it is found in England and it seems like nowhere else. Most likely I think yours is a Bibio vestitus from the picture below (unfortunately I wasn't able to find multiple sources corroborating this, though, so take it with some caution), and although I had trouble finding definitive distribution data, it looks like the one in your picture has the copper-colored legs, and in addition the first image below claims to be from Massachusetts. There are many many species of Bibio though so I can't be certain of species. Often with dark spots or “stigma” on the wings. The wings have two basal cells (posterior basal wing cell and basal wing cell), but are without a discoidal wing cell. R4+5 is simple or branched; at most, only three branches of R developed. The leading edge wing veins are stronger than the weak veins of the trailing edge. The march flies are known to hover close to the ground like you saw [Source]. Hardy, D.E. et al., 1958. Guide of the insects of Connecticut PartVI. 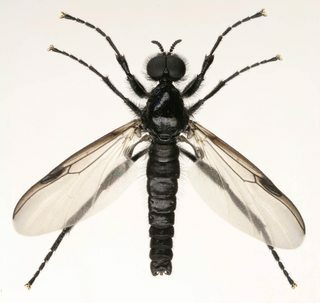 The Diptera or true flies of Connecticut Sixth Fascicle: March flies and gall midges. Bibionidae, Itonididae (Cecidomiidae). Conn. Geol. Nat. Hist. Surv. Bull. 87, 218 pp., 15 pl., 29 figs. Your specimen is likely in the genus Bibio (march flies or St. Mark's flies). All robber flies have a characteristic divot on top of the head, which is located between their especially prominent compound eyes. Could someone help me identify this insect from Malaysia?